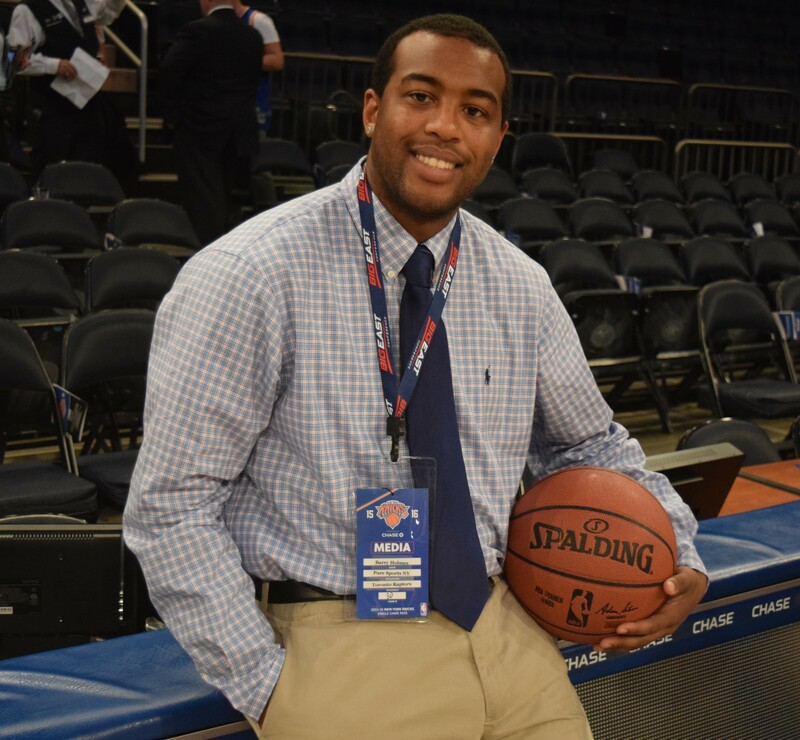 NEW YORK CITY, N.Y. – The St. John’s Red Storm have had a tough season thus far, to say the least. Coming into Sunday afternoon’s contest against the Seton Hall Pirates, the Red Storm had just one conference win (1-14) and eight total on the year (8-19). St. John’s has struggled offensively all year long, which has translated to their poor record. The Red Storm currently hold the 305th ranked offense in the Country, with just 66.8 points per game. Seton Hall looked like they were going to run away with this game, right out of the gate. The Pirates’ defense was physical, and forced the Red Storm out of their comfort zone. The Pirates led by as many as 19 points in the first half, and were led by Desi Rodriguez. Rodriguez got whatever he wanted offensively, and helped to lead the Pirates to a 36-22 lead at halftime. The second half was were the Red Storm dug deep, and found whatever pride they had left. St. John’s fought and clawed their way back into the game, by taking advantage of Seton Hall going cold in the second half. St. John’s seemed to feed off of Freshman forward, Kassoum Yakwe’s effort on the floor. Yakwe was a defensive force, blocking Seton Hall four times and grabbing 15 rebounds. The Red Storm made the comeback, and actually took the lead 61-60 on a Durand Johnson free-throw with :10 seconds remaining in the game. A late turnover by Yakwe, helped Seton Hall to come down the floor and take the lead on two free throws from Isaiah Whitehead. 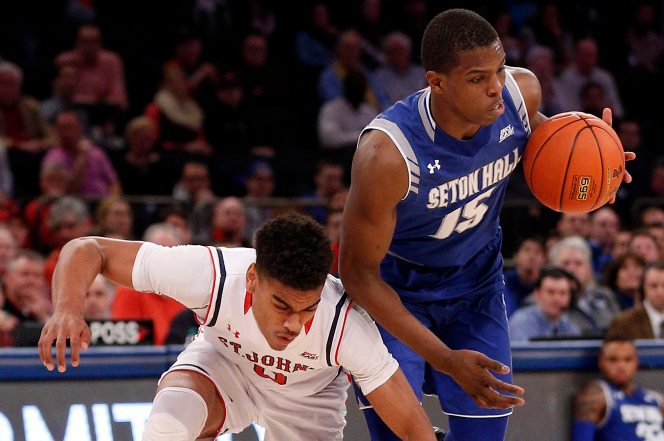 These free throws helped secure a 62-61 win for Seton Hall. Had Johnson made two free throws instead of one late and had Yakwe not turned the ball over, the Red Storm would’ve had their second conference win. Instead, Coach Chris Mullin in his first season sits with a 8-20 record. The season cannot end fast enough for the Red Storm, as they have three more conference games left. Unless St. John’s has a miracle run and wins the Big East Tounament, it looks like they will miss the NCAA Tournament. The Red Storm’s next game will be Thursday night at DePaul (2-12, 8-18). St. John’s has now lost 17 of their last 18 games. St. John’s finished with 21 turnovers on the game. Yakwe was the only Red Storm player in double figures with 16 points.